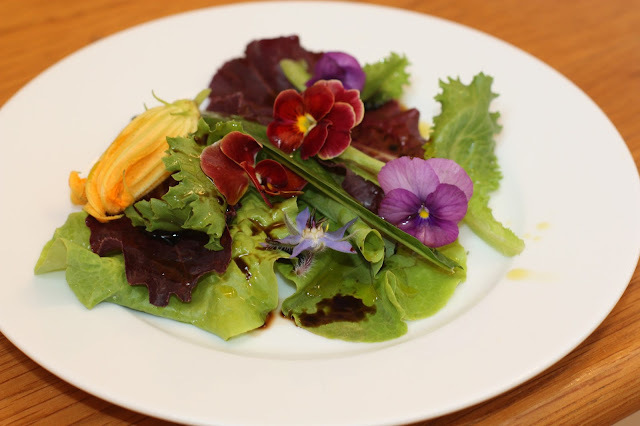 Flowers are grown for their beauty but many can be eaten as well, they make a beautiful salad, are great to freeze in ice cubes, fun in lemonades and a pretty garnish for deserts. 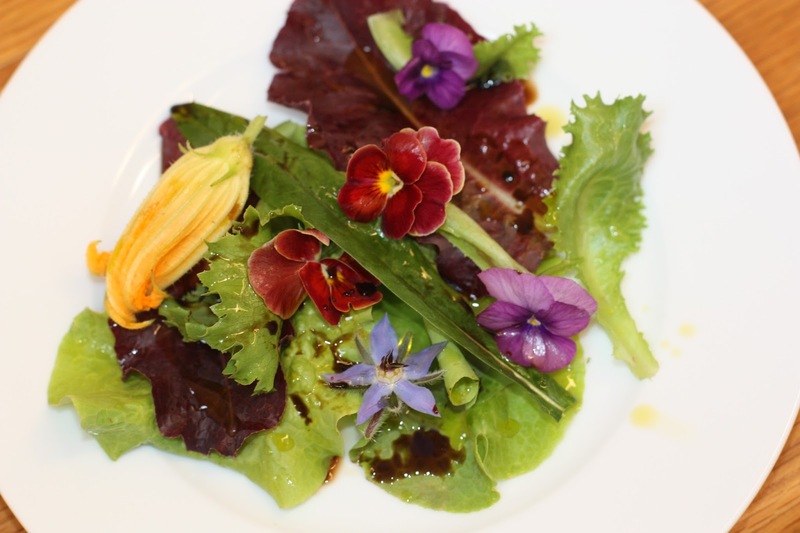 This pretty and healthy salad was grown at the farm it features squash blossom, viola, and borage. I have really enjoyed growing borage it was easy from seed, it has lovely edible blossoms and the bees love it, as I was planning the garden area I created new flower beds around the house and in front of the raised beds for the pollinators, if you plant they will come. Please plant flowers and minimize lawn chemicals to help our bees as they are in decline and these beautiful hard working insects are vital for our food supply. a handful of fresh lettuce any variety, arugula is also great.